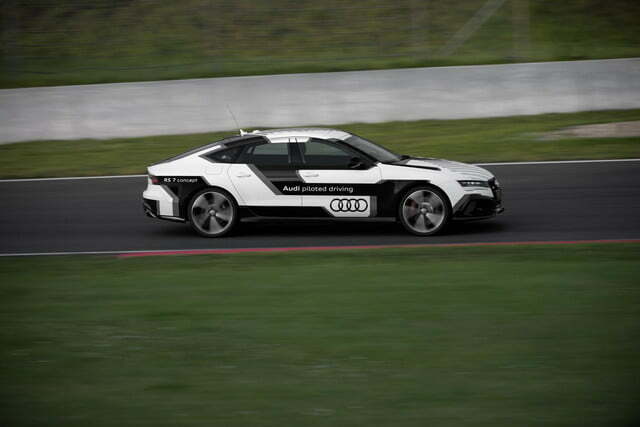 This Sunday, Audi will make a dramatic demonstration of autonomous-car tech, unleashing a self-driving RS 7 on Germany’s Hockenheimring for one hot lap. 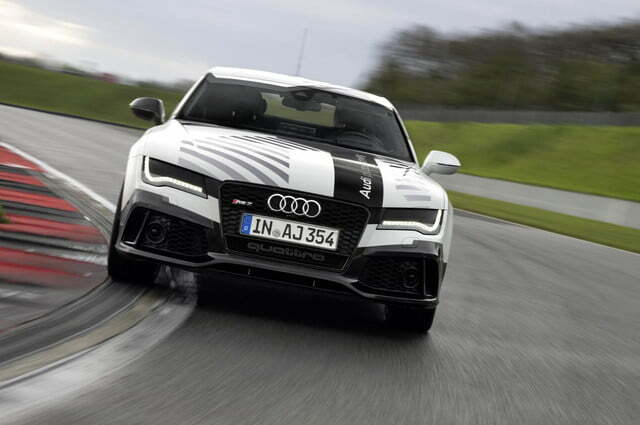 The robotic RS 7 is mechanically similar to the ones available in showrooms, right down to the 4.0-liter twin-turbocharged V8, eight-speed automatic transmission, and quattro all-wheel drive. 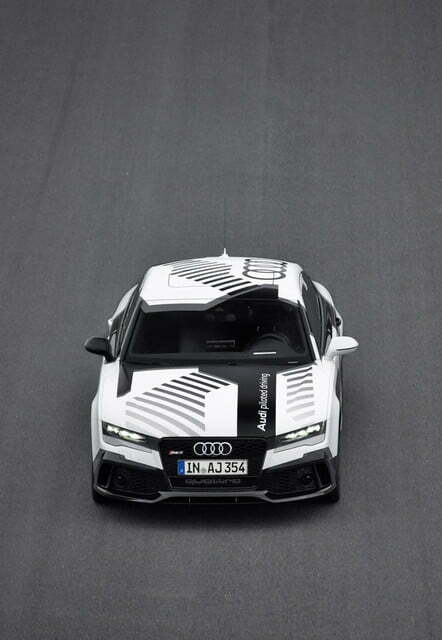 The engine churns out 560 horsepower and 516 pound-feet of torque, allowing the RS 7 to reach an estimated top speed of 189 mph. 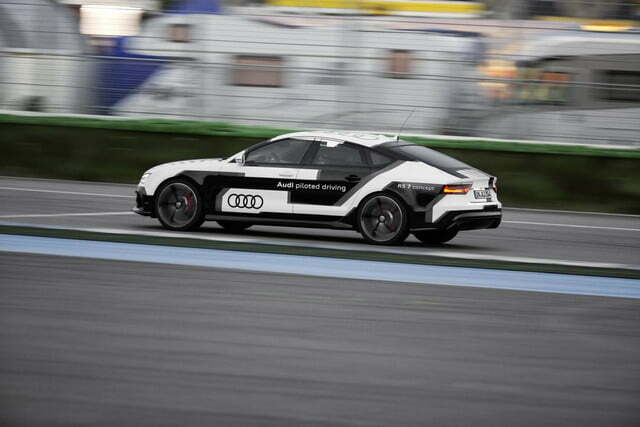 Audi expects the car to reach “only” 149 mph on its Hockenheimring lap, though. 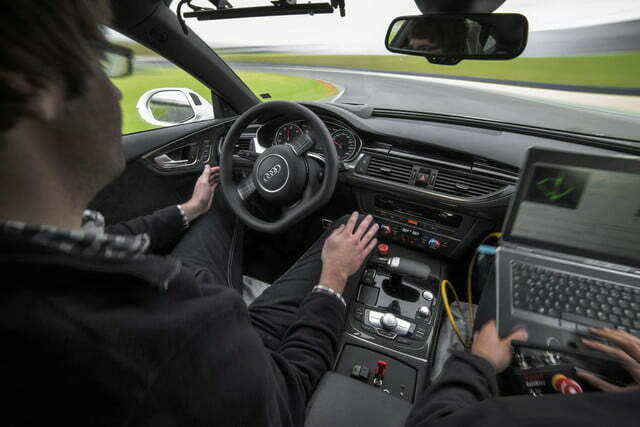 To get all of that hardware to function automatically, Audi first needed to make sure the car could see where it was going. 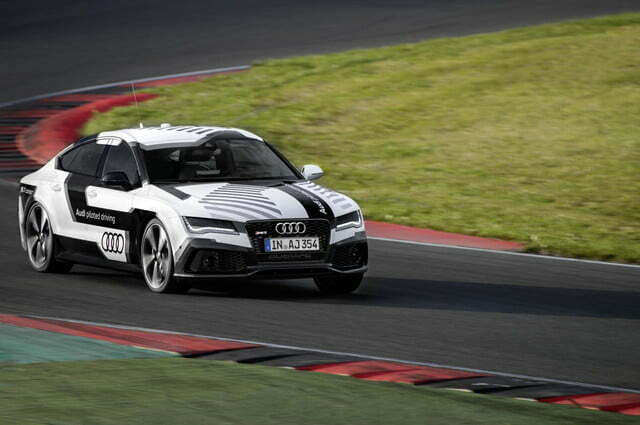 GPS signals will be used to orient the RS 7 on the track, while cameras will provide more precise situational awareness. Software will compare images from the cameras to a locally-stored database of familiar features to help the car figure out exactly where it is. 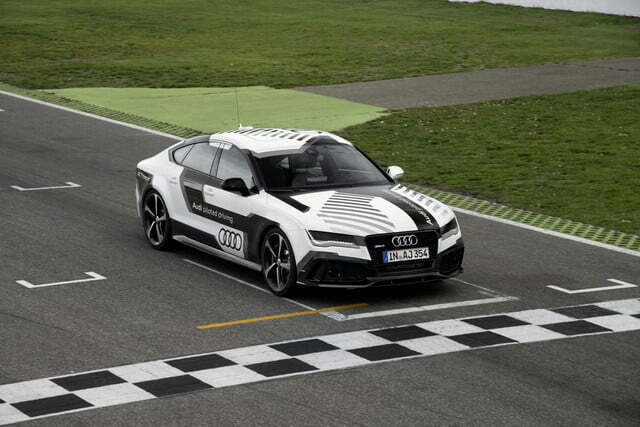 Audi says the lap stunt will also be a particularly tough test for the hardware that controls the steering, throttle, and brakes. 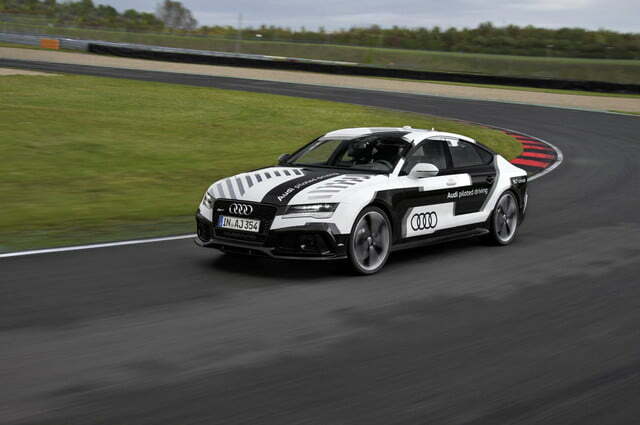 It says the prototype has already logged several thousand miles on test routes to prepare it. 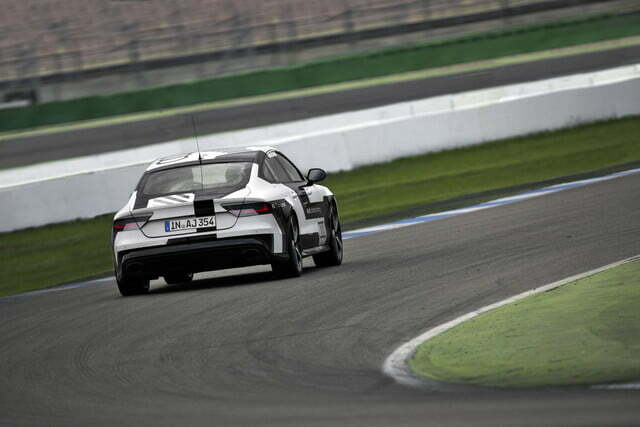 The RS 7 will only complete one lap at Hockenheim, but Audi says it will follow a “clean racing line,” using full throttle on the straights in pursuit of the fastest possible time. Engineers expect it to complete the lap in 2 minutes, 10 seconds, while pulling up to 1.1 g in the corners and 1.3 g under braking. 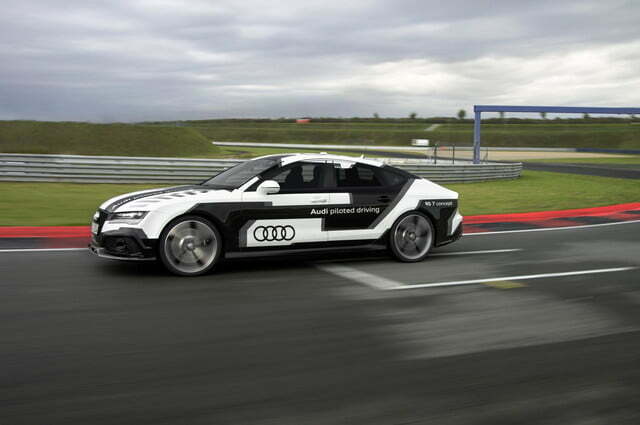 Audi’s first autonomous production cars won’t be doing that, though. The carmaker is planning to launch an autopilot-like system in the near future that will allow cars to autonomously navigate urban traffic. That’s not as exciting as a fast lap on a racetrack, but it’s probably more useful.